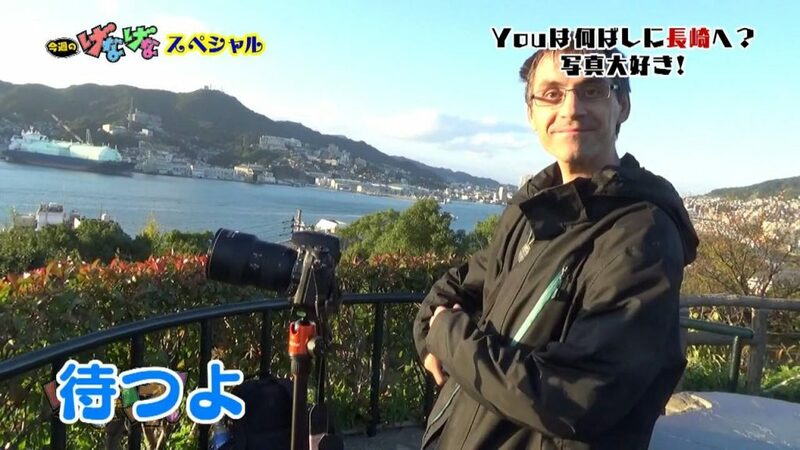 When I was trying to take a picture of the Meganebashi (Spectacles Bridge) in Nagasaki, a Japanese lady asked me if she could ask me some questions. It turned out she was from ＮＢＣラジオ公式（長崎放送）, a local TV station, and they have a TV show (げなパネ！) where they follow tourists around who are visiting Nagasaki. She was so interested in my pictures that she followed me for the next four hours and even waited half an hour in the freezing cold to see me take a picture of a not-so-beautiful sunset. We kept in touch afterwards, I sent here some of my best photos from my four weeks in Japan, and they turned everything into a very nice five-minute documentary. It aired in Japan in November 29, 2017. Sadly there is no publicly accessible recording.